Your favourite place to be in during summer, the conservatory, can become a very cold place in winter with of all its glass walls, which lose heat quite quickly when Sun is not giving out heat as it does in summer months. But now with the advent of electric radiators, you will not have to abandon your conservatory during winter months. Why use an electric radiator? 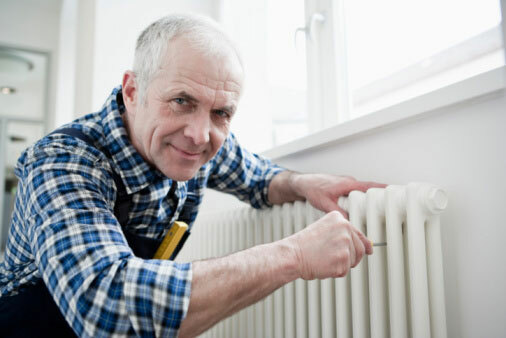 The good thing about an electric radiator is that it can be operated independently and is completely detached from the central heating system present in your home. This means that you can switch it off when not required and save energy. Our aim here will be to look into some of the unique as well as advanced features present in electric radiators which will lure you into buying one for your conservatory. Many of the electric radiators nowadays are equipped with motion sensor technology which can result in considerable energy saving. Electric radiator fitted with such motion sensor switches onto eco mode in case the device does not detect any motion for a certain amount of time. Another advantage is that you can configure the absence time in the range of ten minutes to four hours. As soon as your presence is detected, the system switches back again to comfort mode. Another unique feature which can lead to significant energy saving is the window open detection. In case you feel like refreshing the ambient air present inside your conservatory but forget to turn off the electric radiator then this feature will automatically turn off the radiator. The technology works on the basis of detection of drop in temperature in the range of 1 to 2 degree Celsius within a short time span of few minutes (such as 10 to 15 minutes). Thus, by shutting down the system, the electric radiator ensures that you are not losing energy unnecessarily which in turn can lead to considerable cost savings. Now you can purchase an electric radiator having feature which lets you check your cumulative energy consumption (in kwh). This way you can easily monitor your energy consumption and make necessary reduction to curb overuse. Some of the systems also have indicator light which warn the user in case temperature is significantly higher than normal. Suppose, you manually set the temperature which is well above the average normal temperature setting, then in such situation the electric radiator will provide a warning using lights to indicate the potential risk of high energy consumption. If there are kids who will be frequenting the conservatory then this feature will be quite useful for you. This feature ensures that surface temperature remains below a set level (as for instance, under 55OC). When this feature is enabled the time needed to warm up the conservatory will be longer. But it will be worth the wait and better than untoward accidents in the conservatory when children are playing around. In addition to it, the reaction time of your electric radiator will normally be higher when this function is activated. We will conclude here with a final note that if you are interested in using your conservatory even during winter months and searching for best heating solution then electric radiators should be on top of your list. The benefits and features (as listed above) of installing an electric radiator certainly outweigh the drawbacks (which actually are none).